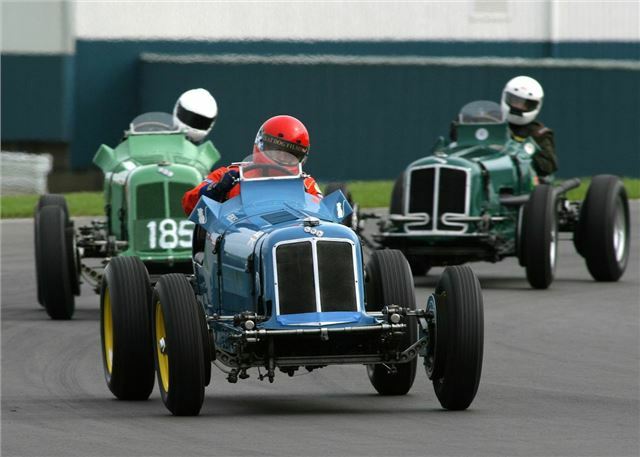 The Historic Grand Prix Association (HGPCA) is to celebrate the 80th anniversary of the first car race at Donington Park in 1933 by bringing a pre-War Grand Prix grid to the 2013 Donington Historic Festival (3-5 May 2013). Visitors can indulge their love of historic GP cars over the long weekend at Donington. Festival ticket holders are entitled to two-for-one entry to the Donington Grand Prix Collection – the largest showcase of Grand Prix racing cars in the world. Tickets are on sale in time for Christmas. Advance ticket prices start at £12 for the Friday, £20 for Saturday or Sunday and just £36 for a three-day weekend ticket. On-the-gate prices will be £15 for Friday, £25 for Saturday or Sunday and £45 for the three-day weekend. Children aged under 16 are admitted for free. There are also special discounts for members of car clubs that have registered with the Festival. Tickets can be bought via www.doningtonhistoric.com and through the 24-hour ticket hotline 0844 873 7355.